The problem by adding the code manually is, if there is an update to the theme you destroy your own changes. So i don’t want to edit the theme directly. 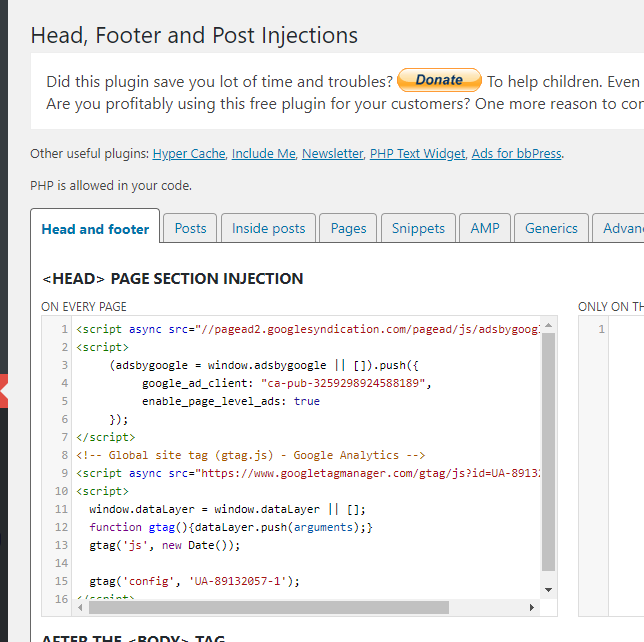 I have used a plugin named Head, Footer and Post Injections, wich will add your custom HTML head code to your theme, by using the default WordPress functions. In the admin area from your blog, click on settings and on the menu item „Header and footer“. There you can easily add your Google analytics code and maybe the Google Adwords code. And click save and thats it!